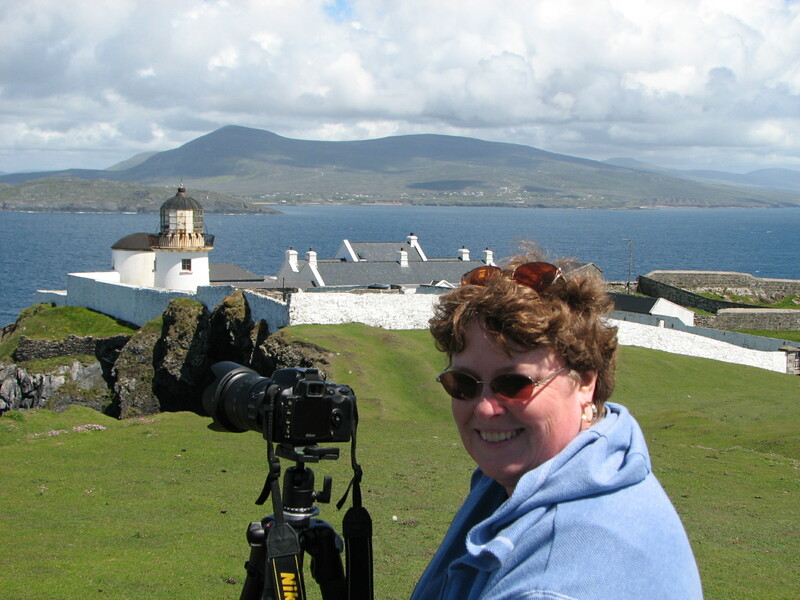 Your itinerary is set in the unique and unspoiled villages, rugged ancient abbeys, broad peat lowlands, and the dramatic coastline of Western Ireland. These natural scenes, along with the people, render this Isle a place of inspirational beauty. We will visit places you could never find on your own — tiny villages, hidden beaches, castle ruins, and ancient abbeys. Your home away from home, Hillcrest House, was renovated for the purpose of accommodating photography groups. Its homelike quality adds to the relaxed atmosphere of the trip. You will enjoy traditional Irish breakfasts and dinners during your stay. Lunch will be at various restaurants and pubs, or we can stop in town and you can pick up a box lunch. Transportation is provided in a roomy tour van, which is large enough for both the group and our equipment. 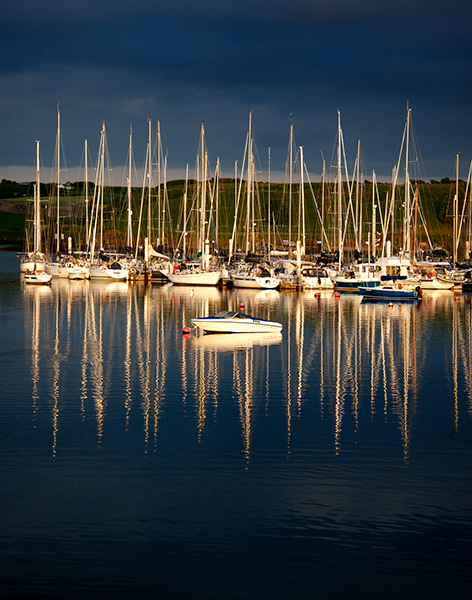 You will be met at Ireland’s Shannon International Airport and driven north to Westport, on the shores of Clew Bay. After lunch, relax and enjoy conversation in the library or explore the nearby countryside and sunset over Clew Bay. Nancy and your guide will plan outings from our home base at Hillcrest House with consideration each day of the interests and energy level of the group. Breakfast and dinners are included at our home base. Ireland is a predominantly rural country with an ancient countryside of rocky hills, stone walls and white cottages dotting the landscape, which is of course very green and seems to melt right into the sea. The scenery varies from pasturelands that have been cut out by the many rivers in the area to spectacular mountains that sweep right down to the ocean with jagged cliffs that overlook the sea. We will be traveling to areas where there are few tourists and will have the opportunity to meet and enjoy conversations with the local people. We will experience the Irish food, culture and history in the quite towns, bogs, limestone landscapes and castle ruins throughout the county. With a population less than the town of Elizabeth, NJ, County Mayo offers the quite locations that photographers yearn for. Ballintubber Abbey, one of the oldest Abbeys in Ireland dating back to the twelfth century, named for the natural spring nearby where St. Patrick baptized his first Irish converts. The Abbey has been painstakingly restored and has become a hideaway for celebrity weddings. After working for a few hours in and around the Abbey you can photograph Moore Hall, a Georgian mansion destroyed during the war of independence. Today it stands in eerie stone ruins just the way we like it. Later in the afternoon we visit Castle Bourke, on the shores of Lough Carra. Hillcrest House lays half way between the City of Westport and the Village of Newport. 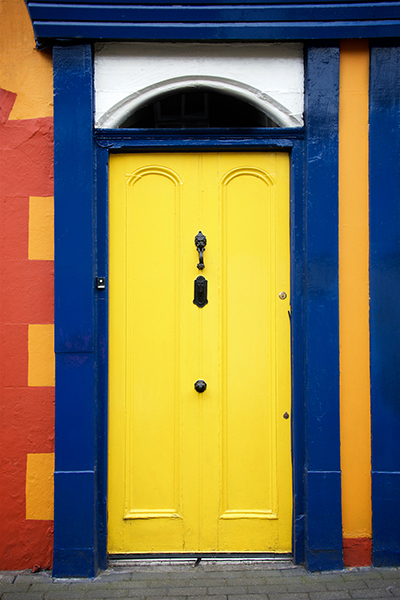 Both capture the flavor of true Irish towns with their tree-lined canals and colorful shops. After a stop in Westport, we drive to Murrisk Abbey, complete with a backdrop of Ireland’s Holy Mountain, Croagh Patrick and foreground of Celtic crosses in thecemetery. This is the site of pilgrimage for many who come to pay homage to their patron saint. St. Patrick is supposed to have rid Ireland of snakes and all venomous creatures. Later in the day you will be at the ocean on the west coast of Mayo at a remote rocky shore called Barnabawn Point. 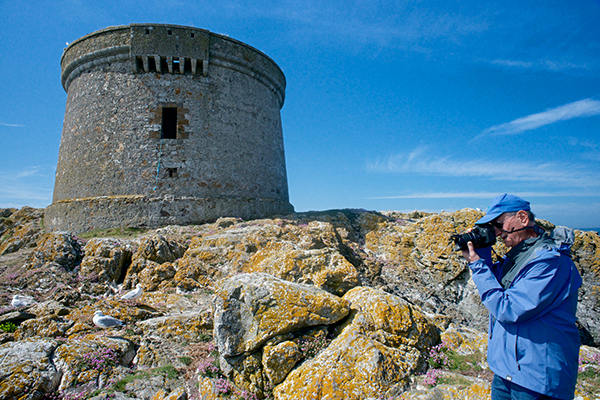 Here we will find deserted farms and some of the most diverse sea views in Ireland. Our last stop of the day will be at Tully House, a private residence at the end of a quarter mile tree-lined avenue. There is an old mill along the Bunowen River, a short walk from the house. On another day, we will spend the morning photographing in and around the town of Cong. Photo locations include the massive ivy covered Ashford Castle, the haunting ruins and ancient stone steps of Cong Abbey, the nearby landscape including a forest and river scenes, as well as the town itself. 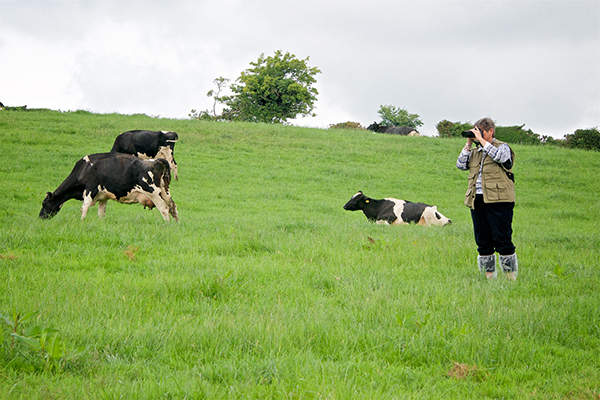 After lunch you will have the opportunity to photograph an area of rolling hills peppered with grazing sheep, and a myriad of stonewalls on a hillside flowing down to Lough Corrib. The picturesque village of Cong was the setting for John Wayne and Maureen O’Hara’s film The Quiet Man. Driving north on another day, our first stop will be along the ocean on the Atlantic drive in Mulranny on our way to Achill Island for the day. After lunch, we will continue shooting along the most scenic ocean edge of Achill Island with awesome cliffs falling off into the sea, moors and white cottages sprinkled against the dark rocks. We will end our day at the deserted famine village at Keel. And another day, we will travel to one of the few remaining round towers in Ireland, Turlough, standing amid a field of ancient carved gravestones. If there is a rainy day, the new Museum of Country Life, one of Ireland’s National Museums, is well worth the stop. Later in the afternoon we will photograph the glacial erratic boulders at lakeside at Lough Cullin. Another shooting day opportunity will be to work in the morning along Doo Lough lake with the mountains as backdrop and small boats along the shore . After lunch in the town of Louisburgh, we will spend the afternoon photographing in the Sheeffrey Hills, a place where you must be careful not to disturb the leprechauns who inhabit the forest. Burrishoole Abbey is a great place to start one of our days in the crumbled ruins of the cloister section. Nestled at the base of the hills, the abbey and graveyard with Celtic crosses towering into the sky, overlooks the lake. Even though we will be shooting a lot of color, some of these ruins would be great in black and white. We will talk about black and white conversions during our time together for those who are interested, as well as using exposure compensations, fill flash and shooting in HDR on those very bright days to get more detail in the shadows. 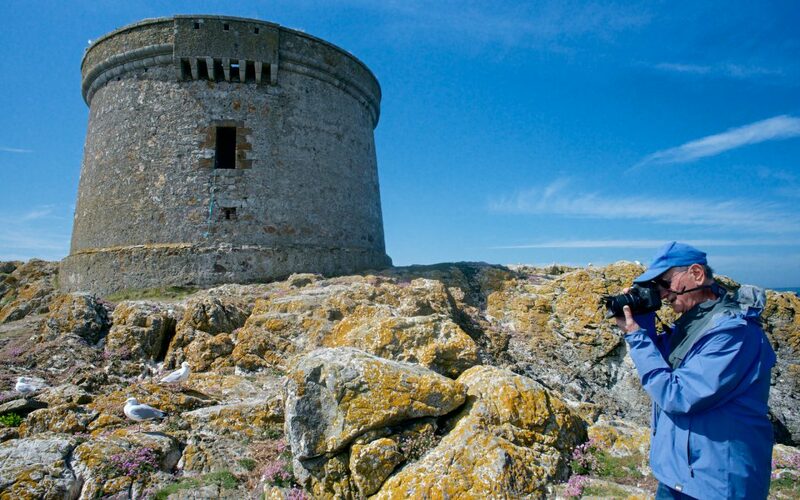 Nearby is Carrigahowley Castle, one of the many strongholds of Grace O’Malley, the adventurous sixteenth century Pirate Queen. At high tide, the water circles around the base of the tower making for a foreboding image. Later in the afternoon visit Letterkeen Forest with tripods to capture the flowing river water scenes. After breakfast, we will pack up and depart from Hillcrest House early this morning, driving south to County Clare, where you spend the evening in Ennis. 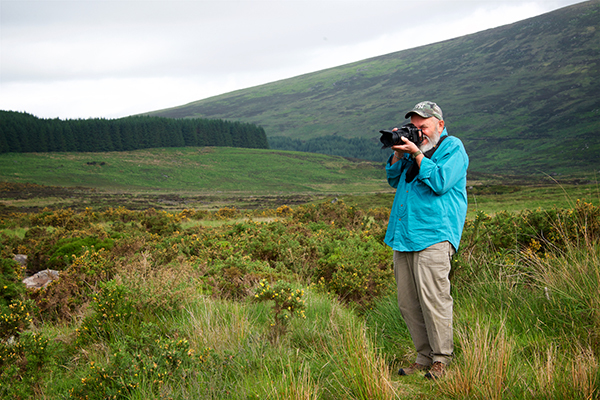 On the way, you will spend time photographing in County Galway near the town of Gort. There lies a 16th century Norman castle with a small cottage attached. The Irish Literary Revival began near this castle – in Coole Park, an estate owned by Lady Gregory where she hosted the likes of George Bernard Shaw, W. B. Yeats and J. M. Synge. It was a place of retreat for William Butler Yeats. Ennis is a charming riverside town with colorful storefronts and narrow cobblestone streets. There will be plenty of time to photograph the architecture and shop in this lovely little village. This night we will stay at the Temple Gate Hotel (or similar) in Ennis. We will likely all eat dinner together but this meal is not part of your package. September 28 Shannon – U.S.
After breakfast this morning, say good bye to your new friends and board your afternoon flights for home.